Like the five other UWS campuses, Hawkesbury provided a long day care service on campus, offering places to university students, teachers and the wider community. And just like those other campuses, Hawkesbury was struggling financially, with low enrolment due to students only needing the service 26 weeks per year. ‘There’d been a history of financial difficulties in most of the centres,’ says Linda Williams, UWS Early Learning Limited operations manager. ‘And while they were all located on university land and they obviously take UWS students and staff, there really wasn’t any real engagement happening between the university and the centres.’ It was particularly troubling considering the university ran an early childhood education degree. So UWS funded a 12-month review of the provision of care on UWS campuses, and in 2010 came to the decision to amalgamate each service into one not-for-profit entity—UWS Early Learning Ltd. As each centre ran independently of the university, with its own community-based management committee, all services had to agree to the amalgamation plans. By the end of 2010, four out of five of the UWS services had voted to amalgamate, with the fifth service coming on board earlier this year. The turnaround since the amalgamation has been dramatic. Two services that were struggling with low-occupancy and financial viability are thriving, Ms Williams says. UWS Early Learning Ltd worked hard to raise its profile within campuses and is now tapping into UWS for professional training and support, making the most of the unique learning and engagement opportunities on offer in a university setting. This isn’t just for early childhood teachers on pracs, but nursing, medical and occupational therapy students, too. ‘We’re looking at getting them in to do research, or implement programs for us. And they’re getting real-life experience with children,’ Ms Williams says. The learning experiences available to the children are pretty special, too. At the Hawkesbury service children can visit the pretend hospital set up within the medical science faculty. There’s even a reptile house that makes for an interesting excursion, plus a real Secret Garden in the horticulture school. Staff employed by UWS Early Learning Ltd also have access to the University’s Office of Organisational Development, which offers professional development services to all UWS staff. ‘There are management courses, finance courses, leaderships programs, Excel training, and most of them are free,’ Ms Williams explains. The goal driving the amalgamation was simple: to provide affordable, quality care, while maintaining viable services— and a not-for-profit philosophy. So began the challenge of convincing parents and staff that the new model would do just that. To allay these fears, Ms Williams used examples of other universities, such as University of NSW (UNSW) and University of Technology Sydney (UTS), as well as other successful amalgamations and council-run services to highlight how the new model would work. Staff had additional concerns about how the changes would impact on their ongoing employment, conditions and job security. ‘The tricky part of amalgamating was doing it in a way that we didn’t have to shut down centres, wind up the business and re-start and re-employ,’ Ms Williams says. This meant first combining their separate Associations under NSW State law, before registering as a Company Limited by Guarantee, so everything was rolled into the new entity. The directors of the UWS Early Learning Limited services meet regularly with the operations manager and the other directors, ensuring they are getting information that’s relevant to their service while drawing on support from the other directors’ experiences. On top of dealing with the lengthy amalgamation process, UWS Early Learning Ltd had to ensure it was prepared for the National Quality Framework as well. ‘In one way the timing was difficult, but in another way it was good because the sector was going through change, so that’s made it easier,’ Williams says. Taking on the unique challenges faced by amalgamating a university service, it was important to collaborate with similar services, such as UNSW and UTS. ‘They understand the special challenges that university childcare centres face,’ Ms Williams explains. ‘It is tricky to budget when you think the first and final quarters can be low quarters, with the university year not starting until the end of February and then students start pulling out early November. So it’s not like managing your average childcare centre. 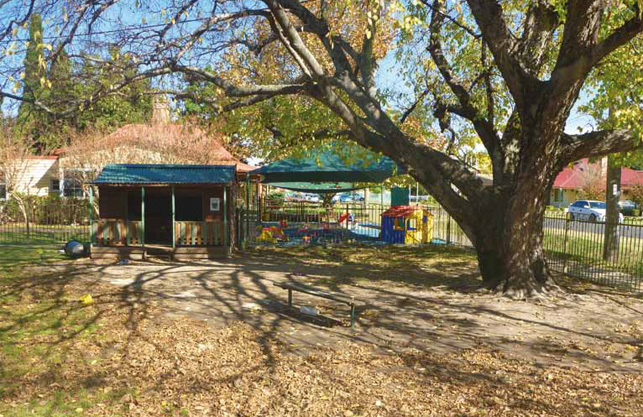 In the case of Early Learning Ltd Hawkesbury, Williams attributes past financial woes to a lack of marketing and publicity in the local community, as well as a lack of strategic planning. So to meet the challenge of low occupancy rates on campuses, UWS Early Learning Ltd reached out to the community, using local media and campus newspapers to build awareness. And university staff and students are offered a per-day discount, which is subsidised by the university. There’s also been an injection of resources, and energy, to ensure the delivery of the curriculum is focused on the EYLF. ‘Our new director [Ms Morato] has done a great job in bringing new ideas in,’ Ms Williams says.